Think big, live bigger. We all want more these days. Spending lots of money on tangible things is out. Memorable experiences are in. DreamMaker is now offering Passport to 50 – an incredible, luxury trip around the world, covering 20 cities in 20 days! DreamMaker is a luxury travel boutique that caters to the wealthy. Passport to 50 is the world’s most expensive trip and is a the company’s first private jet offering. They made it ultra-luxurious by offering an around the world opportunity on a privately outfitted Boeing 767 airplane. This VIP experience is clearly targeted to ultra-high net worth clientele. The price tag is an eye-popping $13,875,000 and worth every penny! 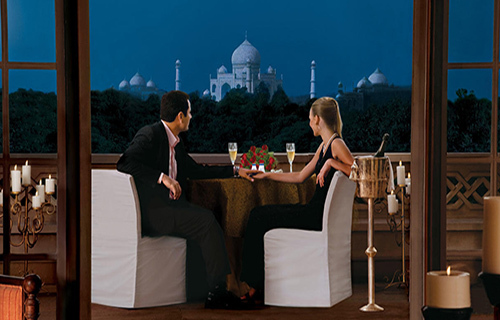 Passport to 50 launched by DreamMaker is an over-the-top, travel experience like no other. Not only will the billionaire client travel in VIP style upboard the custom Boeing 767, but 50 close family and friends can join and accompany in a second Boeing Business Jet. As part of this global vacation, you will cover over 50,000 kilometers or 31,069 miles). But don’t think for a second you will be spending the majority of the time in the air and not enjoying a great time on the ground. In fact, it’s quite the opposite. You’ll only be in the air about 12% of the time. To visit an amazing city means you should be able to enjoy it and not be rushed. Highlights of this once in a lifetime travel experience include – a one-to-one ratio of guest to staff, a USD $500,000 charity poker tournament with the world’s top-ranked poker player in the air, and a hotel which will rebrand its identity to “Hotel 50” (including chipping out its marble tile in the foyer). Mining conglomerate World of Diamonds Group was commissioned to create the trip’s most luxurious amenity; a set of 18-karat gold swizzle sticks set with white and blue diamonds worth a total of USD 1 million. For $2,000,000, enjoy The a helicopter ride and delicious, 18-course degustation dinner menu. Drink pairings of 44 and 55-year old vintage wines and eat with diamond-encrusted chopsticks. During dessert, be presented with a gorgeous 2.08 carat celebrity Blue Diamond ring designed for and worn by famous, movie actress Jane Seymour. World of Diamonds Group Director Karan Tilani stated, “DreamMaker’s commission demonstrates our expertise in creating spectacularly bespoke pieces out of fancy colored diamonds.” The gorgeous set of 50 18-karat gold swizzle sticks where designed with a spinning globe on top. Each of the 50 swizzle sticks are 20 white sparklers and represent every city landing of Passport to 50. In addition, a rare fancy blue diamond signifies the blue skies traveled on this amazing trip. Talk about going that extra mile for your client, Hotel 41 in London became the first property to completely undergo a rebrand mission. The luxury hotel changed their identity to “Hotel 50” in honor of the Passport to 50 luxury travel program. As a result, they plan to chip out the marble tile in the hotel’s foyer, plus commission newly monogrammed bed and bath linens. There will even be a “Hotel 50” flag hung. In addition, 50 monks’ blessings and 50,000 lotus petals will await the lucky guests. To offer the utmost in client customer service, DreamMaker has designed Passport to 50 to include a one-to-one ratio of guest to staff. 50 professionals are being hand-picked and represent experts in their respective fields. Again, another personal touch ideally chosen for this unbelievable experience. Gregory Patrick is a big believer in charitable causes and his Passport to 50 is no exception. We wants to help benefit children all around the world. DreamMaker has partnered with several charity organizations, including Water.org, Make-A-Wish Foundation, Starlight Children’s Foundation, as well as Whole Child International. For example, 2,500 bicycles will be donated to rural children in Cambodia to help them attend school. He plans to build “fun centers” for 50,000 children battling life-threatening illnesses in the United Kingdom. Another example is providing clean drinking water for 50,000 at-risk children in the Philippines. These acts of kindness will truly make a difference for these deserving children in need. Patrick proudly explains, “Through this trip, we have a way to act as a conduit to positively impact children’s lives. It makes no sense to work so hard to please the most discerning of clientele without making the same effort to balance the decadence with an element of kindness that delivers higher levels of fulfillment. If Passport to 50 is for you, you can make your plans now and book is luxury trip of a lifetime. It is scheduled for August of 2017. We hope you enjoyed reading about the Passport to 50 trip from DreamMaker. Contact us today if you are interested. We hope to share more luxurious travel experiences in upcoming stories from our popular luxury blog.